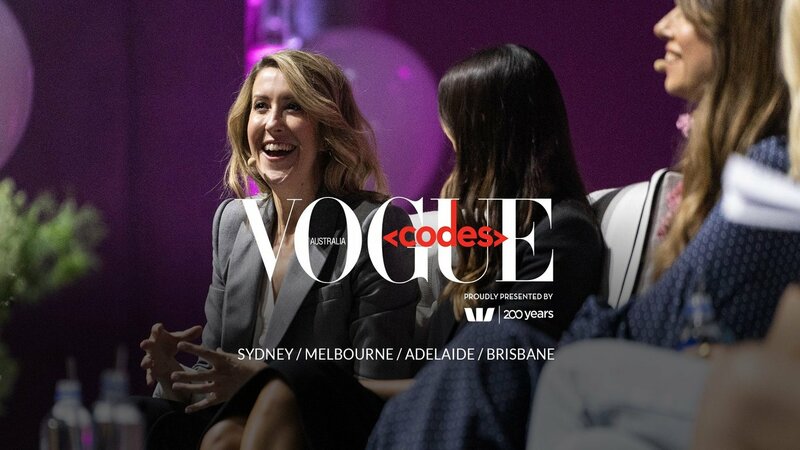 Secure your seat at Vogue Codes 2019, the annual event that encourages women to be empowered by technology in an effort to see more women pursue careers in tech-related industries. See inspiring international and Australian panellists and keynote speakers, including Vogue Australia's Edwina McCann, Karen Walker, Deborah Symond O'Neil, Shama Sukul Lee, Elizabeth Abegg, Katherine McConnell and more. Join Vogue Australia from 29 May–20 June in Sydney, Melbourne, Adelaide and Brisbane for a series of not-to-be missed events. Book your ticket today and join the #VogueCodes movement! 25% off tickets to Summit, Live and In Conversation. The Australian subscribers are eligible to receive a 25% discount when purchasing tickets to Vogue Codes. Discount code is valid until 15 June 2019 or when tickets sell out. Not Valid for Vogue Code Kids.